This Ruger manufactured second variation 10 round magazine is for the model 10/22 semi-auto rimfire .. This Colt manufactured 10 round 22 LR magazine is for the First model Woodmsan Match Target semi-aut.. This Colt manufactured 10 round 22 LR magazine is for the Pre-Woodmsan semi-auto pistol and is in go.. This Mossberg manufactured 10 round 22LR magazine is for the model 702 Plinkster semi-auto rimfire r.. This Mossberg manufactured 10 round 22LR magazine is for the model 715T semi-auto rimfire rifle and .. This Mossberg manufactured 25 round 22LR magazine is for the model 715T semi-auto rimfire rifle and .. This Mossberg manufactured 7 round 22LR detachable magazine does not include the adapter screw and i.. This Marlin manufactured early variation 7 shot blue finished magazine is for the model 989 semi-aut.. This Marlin manufactured blue finished 7 shot magazine is for the model 782 bolt action rimfire rifl.. This Ruger manufactured 17 round 9mm magazine is for the model SR9 semi-auto pistol and is in excell.. 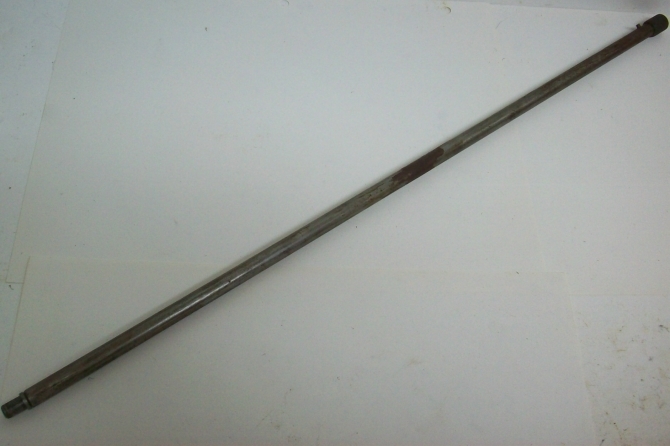 This Ruger manufactured second variation 9 round magazine assembly is for the early (pre-A100) Mark .. This New Hope Sport Specialty (American) manufactured 8 round magazine assembly (Colyer Clip) is for.. This Ruger manufactured blue finished 10 round magazine assembly is for the Mark II semi-auto pistol.. 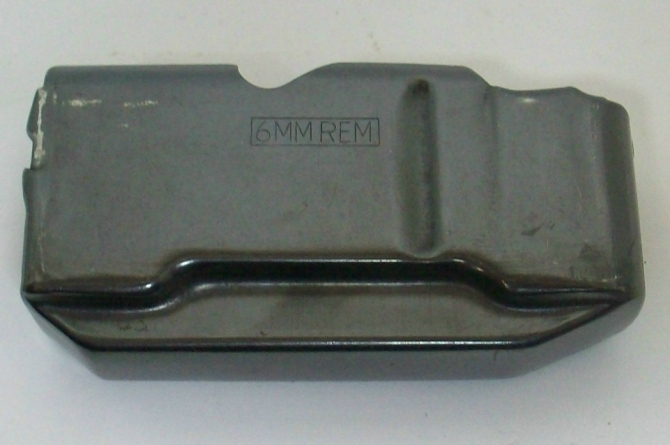 This Remington manufactured metal box (body) 10 round magazine assembly is for the model 522 Viper s.. This Winchester manufactured 10 round magazine assembly is for the model 52 bolt action rimfire rifl.. This Remington manufactured 10 round magazine assembly is for the model 511 bolt action rimfire rifl.. 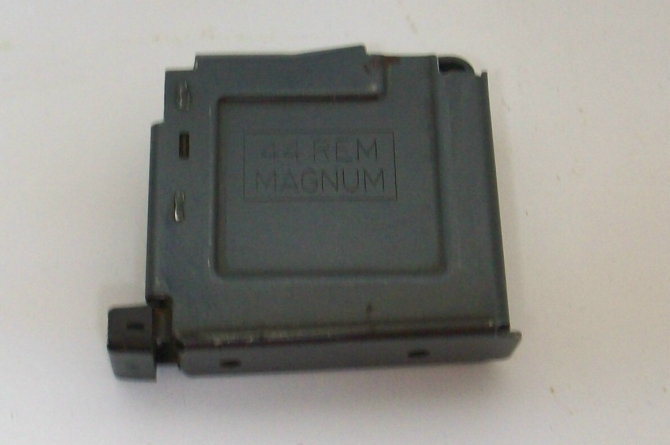 This Remington manufactured synthetic box (body) magazine assembly is for the model 522 Viper semi-a.. This Mossberg manufactured two shot magazine assembly is for the model 195K-A bolt action shotgun in.. This Mossberg manufactured magazine assembly is for the model 395KB bolt action shotgun in 12 gauge .. This Smith & Wesson manufactured 12 round magazine assembly is for the model 669 semi-auto pisto.. This Smith & Wesson manufactured 12 round magazine assembly is for the model 6906 semi-auto pist.. This Smith & Wesson manufactured 14 round magazine assembly is for the model 5906 semi-auto pist.. This Smith & Wesson manufactured 15 round magazine assembly is for the model 5906 semi-auto pist.. This Remington manufactured eight round metal magazine is for the model 597 semi-auto rimfire rifle .. This Marlin manufactured 2 shot detachable box magazine assembly is for the model 55 bolt action Goo.. This Marlin manufactured 2 shot detachable box magazine assembly is for the Glenfield model 50 bolt .. This Winchester manufactured magazine assembly is for the model 43 bolt action rifle in 218 Bee cali.. 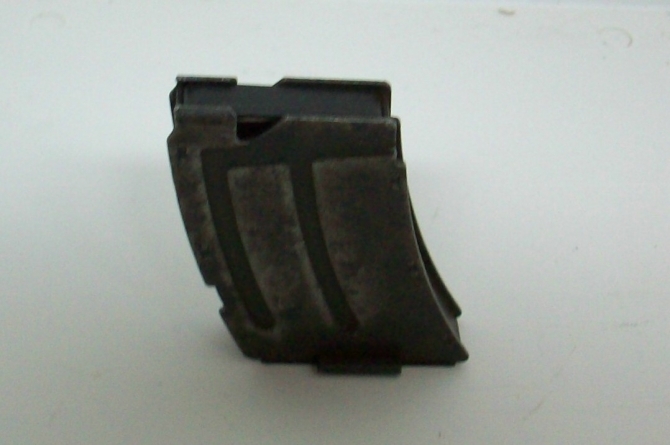 This Remington manufactured ten round metal magazine assembly is for the model 597 semi-auto rimfire.. This Remington manufactured ten round synthetic magazine assembly is for the model 581 bolt action r.. This Remington manufactured ten round synthetic magazine assembly is for the model 541-S bolt action.. 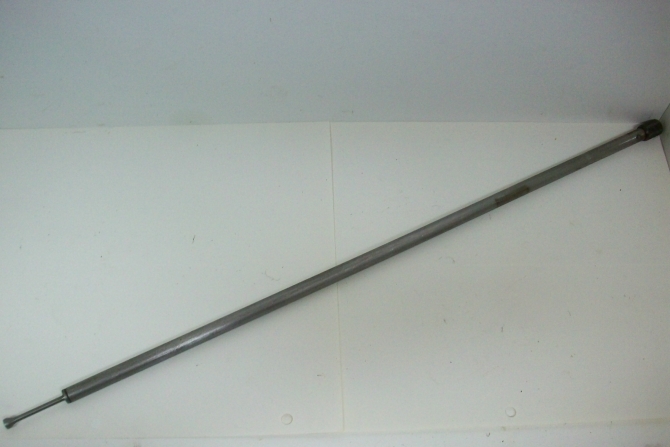 This Ruger manufactured 10 round rotary box magazine assembly is for the model 77/22 bolt action rim.. This High Standard manufactured 10 round magazine assembly is for The Victor semi-auto pistol in 22 .. This Smith & Wesson manufactured 10 round magazine assembly is for the model 41 semi-auto pistol.. 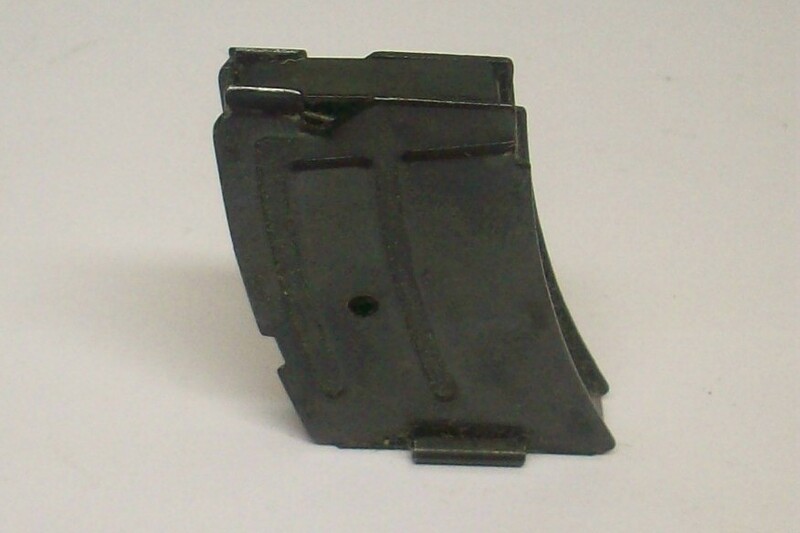 This Ruger manufactured 9 round rotary box magazine assembly is for the model 77/22 bolt action rimf.. This Remington manufactured eight round black synthetic magazine is for the model 597 semi-auto rimf.. 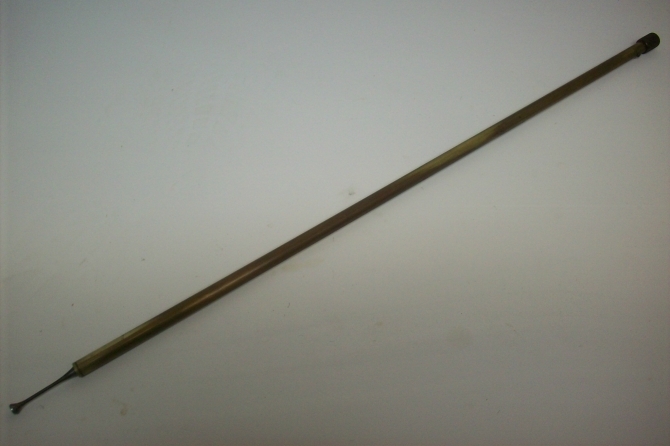 This Remington manufactured three round magazine assembly is for the model 788 bolt action rifle in .. This Remington manufactured third variation all metal constructed detachable box magazine assembly i.. This Sako manufactured detachable box magazine assembly is for the early L-46 action pre-Vixen bolt .. This Remington manufactured four round magazine assembly is for the model 788 bolt action rifle in 2.. This Steyr Mannlicher manufactured magazine assembly is for the model SL bolt action rifle in 223 Re.. This Stevens manufactured four round magazine assembly is for the model 325-C bolt action rifle in 2.. This Remington manufactured ten round synthetic magazine is for the Nylon 77 semi-auto rimfire rifle.. This Remington manufactured five round synthetic magazine is for the Nylon 77 semi-auto rimfire rifl.. This Remington manufactured five round synthetic magazine assembly is for the model 581 bolt action .. This Remington manufactured five round synthetic magazine assembly is for the model 541-S bolt actio.. This Savage / Anschutz manufactured five round 22 LR magazine assembly is for the model 54 Sporter b.. This Marlin manufactured 7 round 22LR magazine is for the model 780 bolt action rimfire rifle and is.. This Winchester manufactured 8 round magazine assembly is for the model 77 semi-auto 22LR rimfire ri.. This Winchester manufactured late variation magazine is for the model 88 lever action rifle in 243 W.. This Winchester manufactured magazine is for the model 100 semi-auto rifle in 243 Win. & 308 Win.. 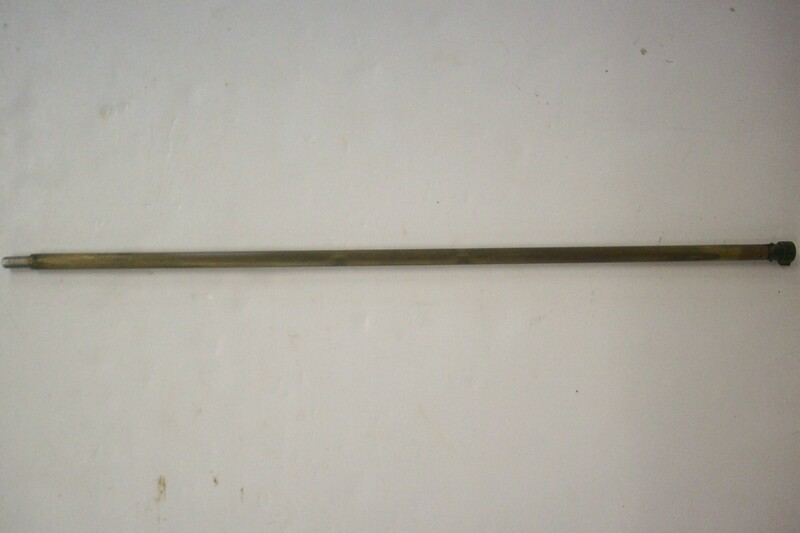 This quality reproduced three round magazine assembly is for the Remington model 788 bolt action rif.. This Remington manufactured magazine assembly is for the model 715 bolt action rifle in 243 Win and .. This Remington manufactured magazine assembly is for the model 710 bolt action rifle in 243 Win and .. 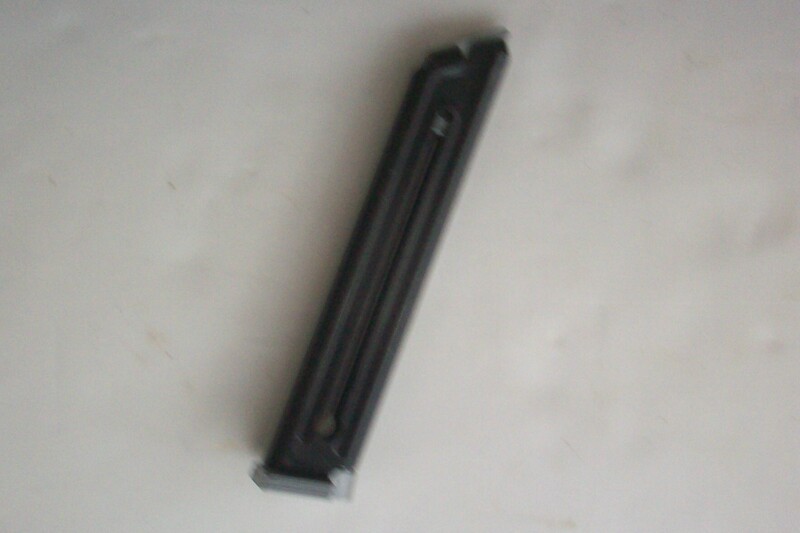 This Remington manufactured magazine assembly is for the model 710 bolt action rifle in 243 Win, 7mm.. This Remington manufactured first variation all metal constructed four round magazine is for the mod.. This Remington manufactured third variation all metal constructed four round magazine assembly is fo.. This Browning manufactured magazine assembly is for the pre-1981 manufactured BLR lever action rifle.. 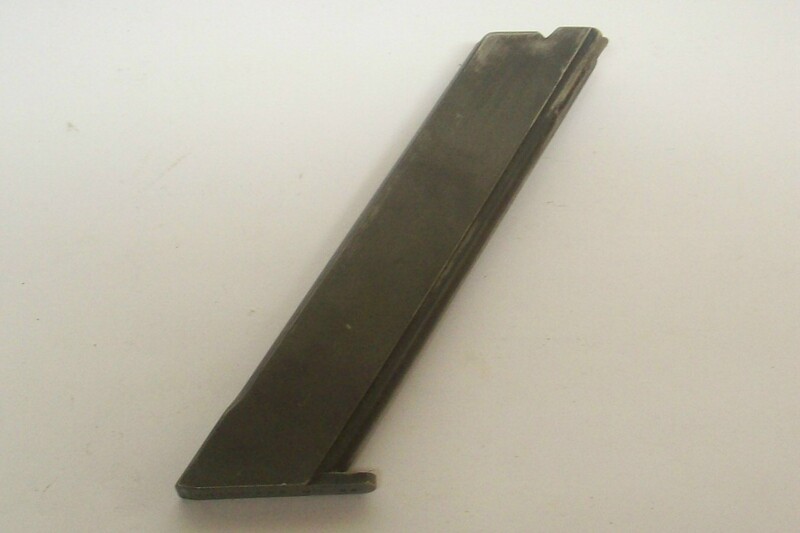 This Remington manufactured second variation all metal constructed magazine assembly is for the mode.. This Mauser manufactured magazine assembly is for the model 1910 semi-auto pistol in 25 ACP caliber .. 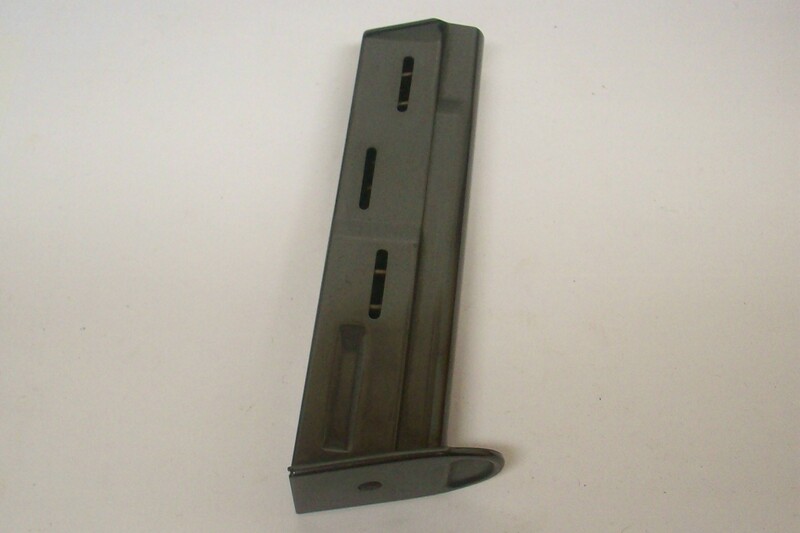 This Remington manufactured third variation (current production) magazine assembly with the syntheti.. This Remington manufactured second variation all metal constructed four round magazine assembly is f.. This Remington manufactured all metal constructed second variation four round magazine is for the mo.. This Remington manufactured magazine assembly is for the model 710 bolt action rifle in 270 Win and .. This Remington manufactured fourth variation all metal constructed four round magazine assembly is f.. This Colt manufactured all blue finished 6 round magazine assembly is for the model 1908 Hammerless .. This Colt manufactured two tone blue finished 8 round magazine assembly is for the model 1903 Hammer.. This Remington manufactured first variation all metal constructed magazine assembly with loaded indi.. 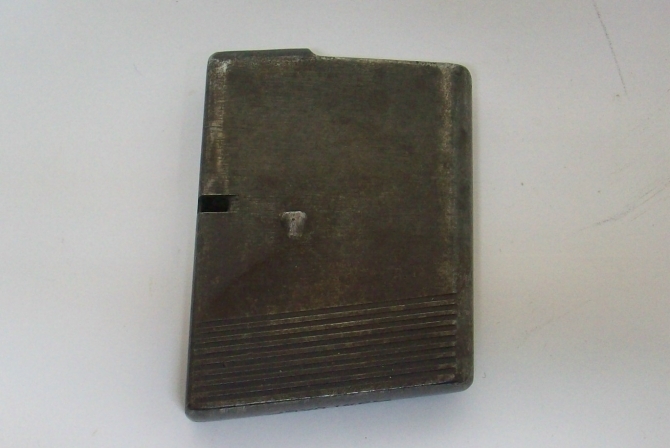 This Remington manufactured first variation all metal constructed magazine assembly is for the model.. This Remington manufactured first variation all metal constructed four round magazine assembly is fo.. This Steyr Mannlicher manufactured magazine assembly is for the model M bolt action rifle in 30-06 S.. 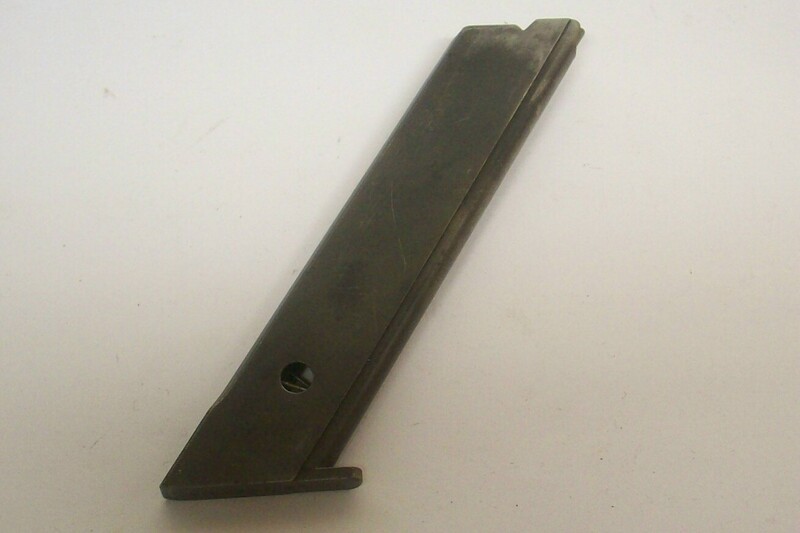 This Remington manufactured third variation all metal constructed magazine assembly is for the model.. 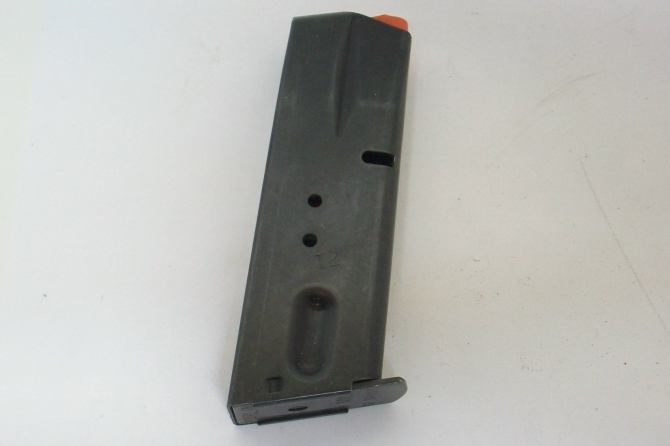 This Heckler & Koch manufactured magazine assembly is for the model SL7 semi-auto rifle in 308 c.. This Remington manufactured all metal constructed four round magazine assembly is for the model 7600.. This Winchester manufactured early variation flat bottom magazine is for the model 88 lever action r.. This Steyr Mannlicher manufactured magazine assembly is for the model L bolt action rifle in 308 Win.. 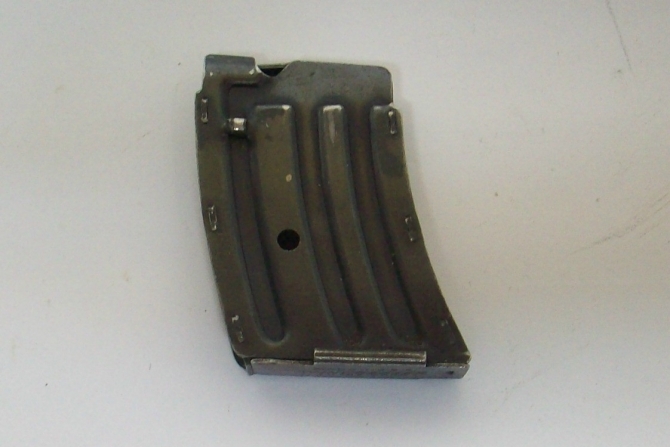 This Remington manufactured second variation all metal constructed magazine assembly without loaded .. 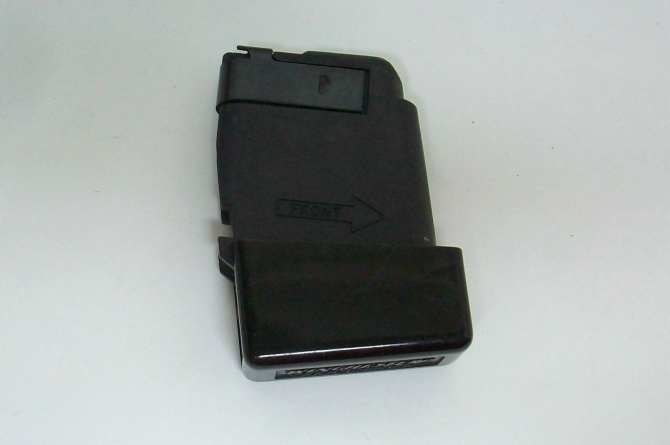 This Beretta manufactured early variation magazine assembly with finger extension is for the model 1.. This Colt manufactured third variation two tone blue finished 7 round magazine assembly is for the m.. 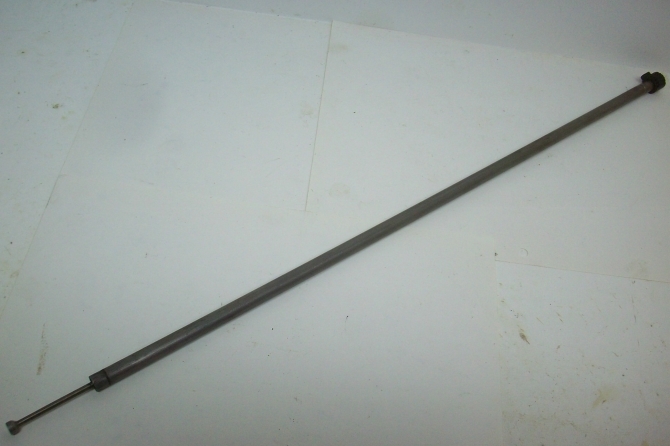 This Remington - Lee manufactured 5 round magazine assembly is for the model 1882 & 1885 bolt ac.. 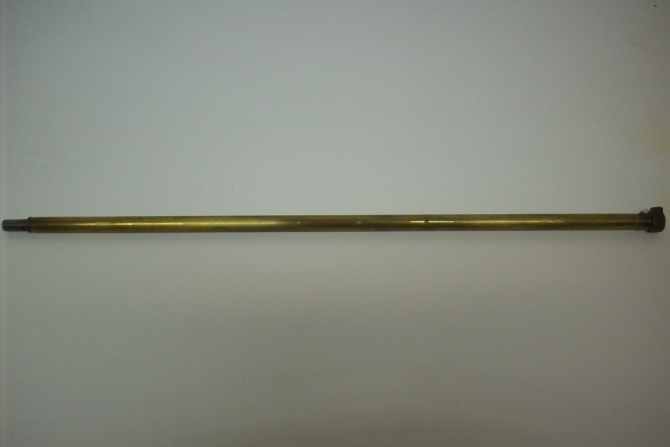 This Winchester manufactured 5 round magazine assembly with two side panel grooves is for the model .. 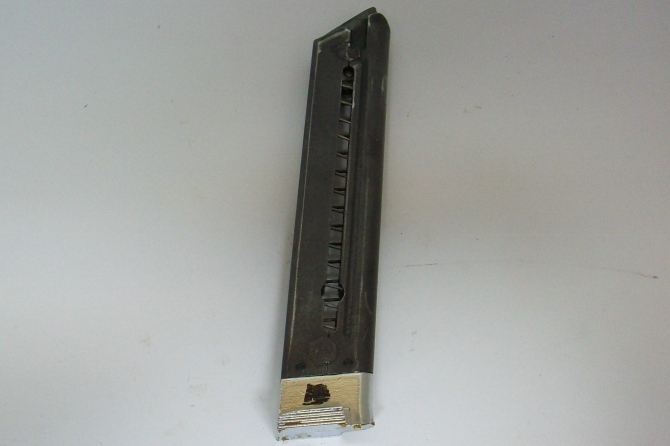 This Winchester manufactured 5 round magazine assembly with three side panel grooves is for the mode.. This Winchester manufactured 5 round magazine assembly is for the model 52C bolt action rimfire targ.. This Savage manufactured 5 round magazine assembly is for the Sporter model 22 bolt action rimfire r.. 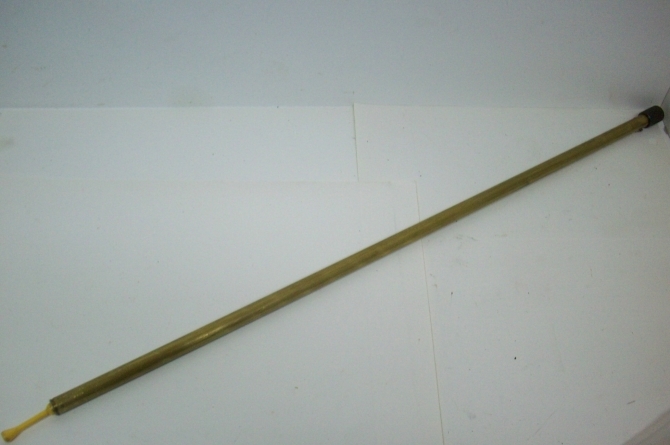 This Savage manufactured 5 round magazine assembly is for the Sporter model 23A bolt action rimfire .. This Winchester manufactured 5 shot detachable magazine is for the model 1907 Self Loading rifle in .. This Remington manufactured six round magazine assembly is for the model 511 bolt action rimfire rif.. This factory manufactured six round magazine assembly is for the Remington model 511 bolt action rim.. 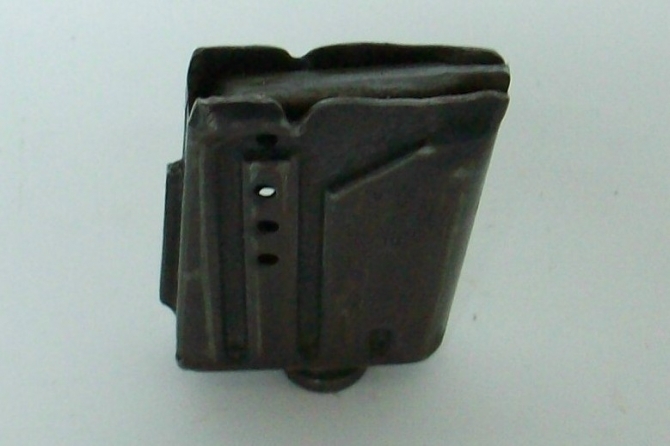 This Remington manufactured third variation all metal constructed four round magazine is for the mod.. This Marlin manufactured blue finished 7 round magazine assembly is for the model 880 bolt action ri.. This Winchester manufactured 7 round magazine assembly is for the model 131 bolt action rimfire rifl.. This Ruger manufactured third variation 9 round magazine assembly is for the later "A100" style Mark.. This Ruger manufactured fourth variation 9 round magazine assembly is for all Mark I semi-auto pisto.. This Marlin manufactured 12 shot 9mm Magazine is for the model 9 semi-auto Camp carbine and is in ve.. This Heckler & Koch manufactured 18 round magazine assembly is for the model VP70Z semi-auto pis.. This Walther manufactured eight round magazine assembly is for the model PPS semi-auto pistol in 9mm.. This Mossberg manufactured complete magazine assembly is for the model 85-B bolt action shotgun in 2.. This Browning manufactured early variation magazine assembly is for the Medalist semi-auto pistol in.. This Sig Sauer manufactured satin nickel finished magazine assembly is for the stainless steel model.. This Browning manufactured late variation magazine assembly is for the Medalist semi-auto pistol in .. This Savage manufactured magazine assembly is for the model 1903 slide action rimfire rifle and is i.. This Savage manufactured magazine assembly is for the Sporter model 23C bolt action rifle and is in .. This Remington manufactured complete magazine assembly is for the model 8 semi-auto rifle and is in .. This Mossberg manufactured two round magazine assembly is for the model 190 bolt action shotgun in 1.. 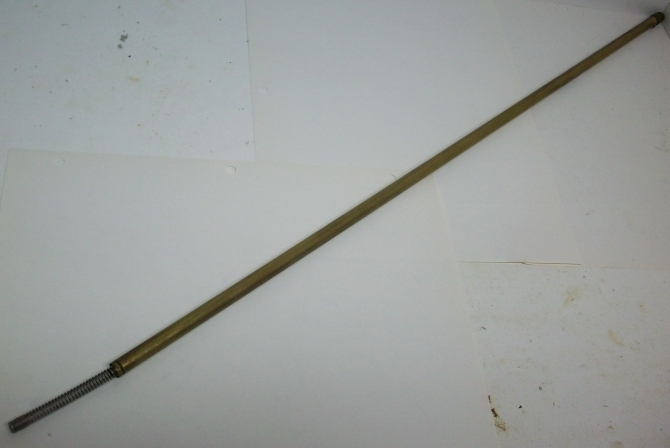 This Savage manufactured four round magazine assembly is for the model 342 bolt action rifle in 22 H.. This Mossberg manufactured two round magazine assembly is for the model 190KB bolt action shotgun in.. This Remington manufactured magazine assembly is for the model 591M bolt action rimfire rifle in 5mm.. 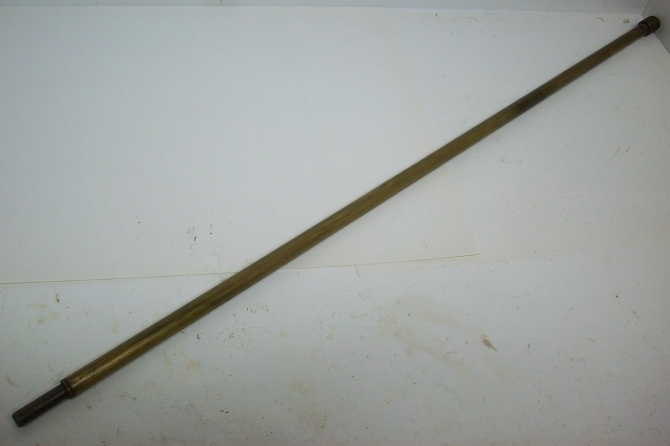 This Colyer manufactured 8 round magazine assembly is for the Winchester model 88 lever action rifle.. 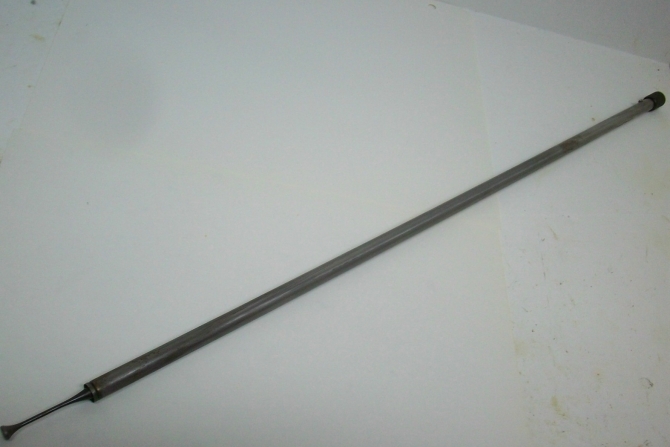 This Remington manufactured 14 7/8" long inner magazine tube assembly is for the model 12-A slide ac.. This Remington manufactured inner magazine tube assembly is for the model 121 slide action rimfire r.. This Remington manufactured inner magazine tube assembly is for the model 512 Sportmaster bolt actio.. This Winchester manufactured first variation inner magazine tube assembly is for the model 290 semi-.. This Winchester manufactured inner magazine tube assembly is for the model 290 semi-auto rimfire rif.. 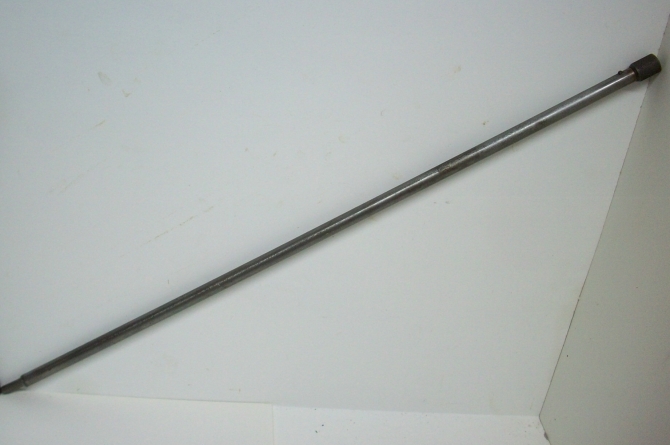 This Winchester manufactured complete inner magazine tube assembly is for the model 74 semi-auto rim.. This Winchester manufactured inner magazine tube assembly is for the model 141 bolt action rimfire r.. This Mossberg manufactured complete inner magazine tube assembly is for the model 146B bolt action r.. This Remington manufactured inner magazine tube assembly is for the model 550-1 semi-auto rimfire ri.. This Mossberg manufactured inner magazine tube assembly is for the model 46M(b) and 46M-B bolt actio.. This Remington manufactured inner magazine tube assembly is for the model 582 bolt action rimfire ri.. This Remington manufactured inner magazine tube assembly is for the model 592 bolt action rimfire ri.. This Remington manufactured inner magazine tube assembly is for the model 24 semi-auto rimfire rifle.. 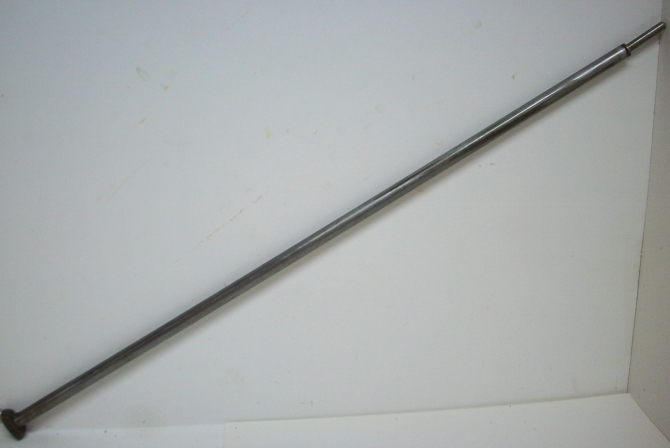 This Winchester manufactured inside magazine tube assembly is for the model 9422M lever action rimfi.. 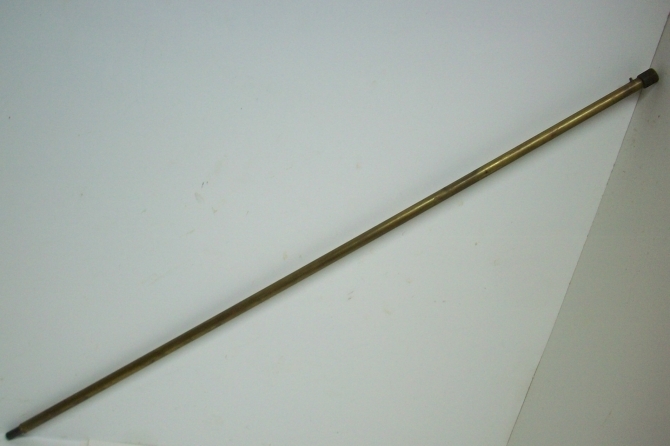 This Winchester manufactured inside magazine tube assembly has the brass tube with limited length cr.. This Marlin manufactured inside magazine tube assembly is for the model 81 bolt action rimfire rifle.. 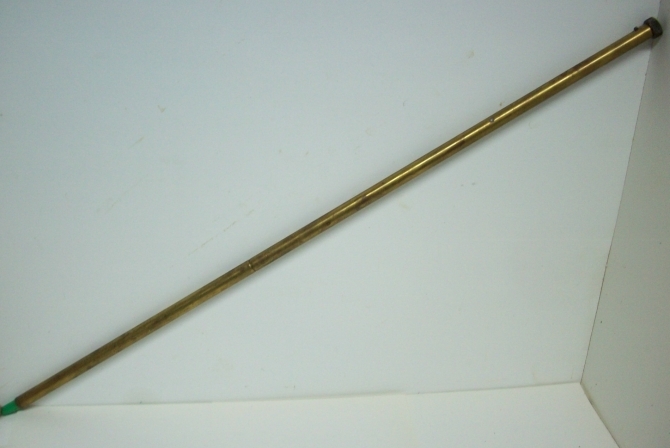 This Winchester manufactured late variation inside magazine tube assembly without the friction sprin.. 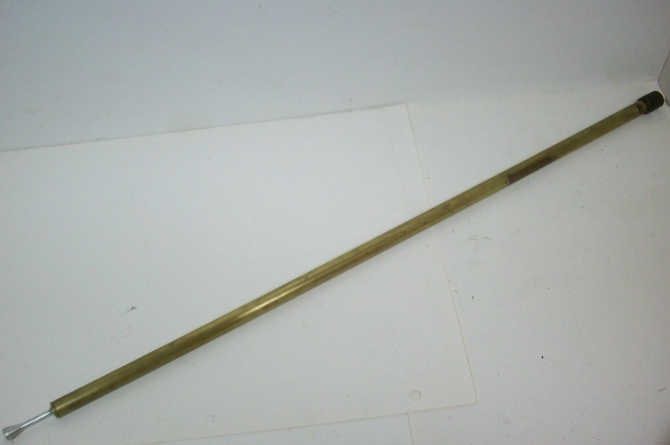 This Winchester manufactured early variation inner magazine tube assembly with a brass tube is for t.. 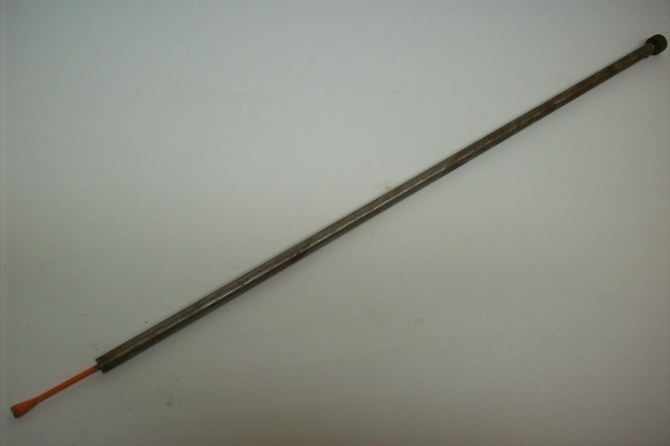 This Winchester manufactured late variation inner magazine tube assembly with a steel tube is for th.. This Winchester manufactured inside magazine tube assembly is for the model 72 bolt action rimfire r.. 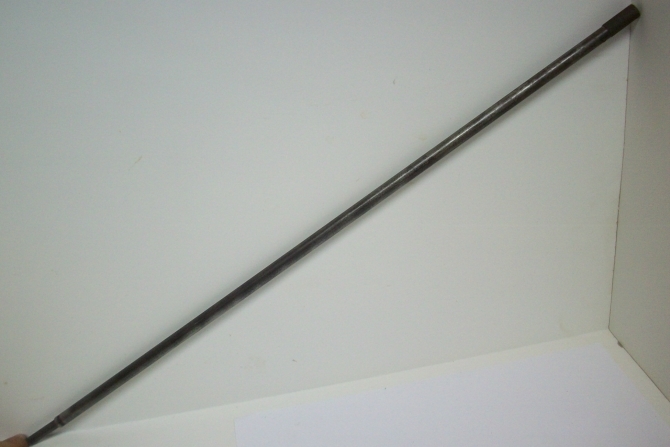 This Winchester manufactured inside magazine tube assembly is for the model 72A bolt action rimfire .. 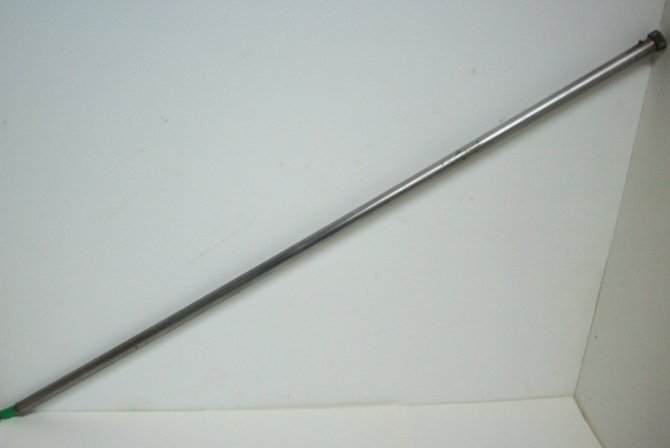 This Savage manufactured complete inner magazine tube follower (assembly) is for the model 25 slide ..